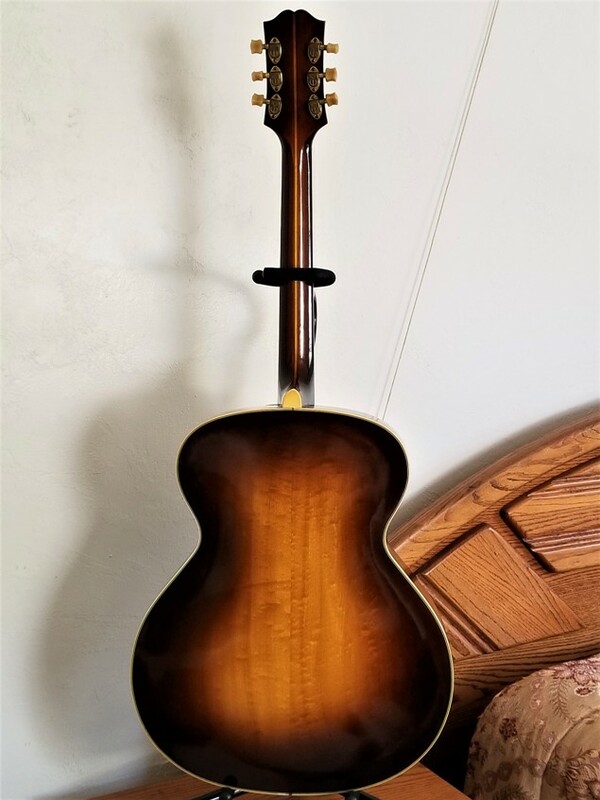 2005 Hamer Korina Special Jr with OHSC, EXC Condition! 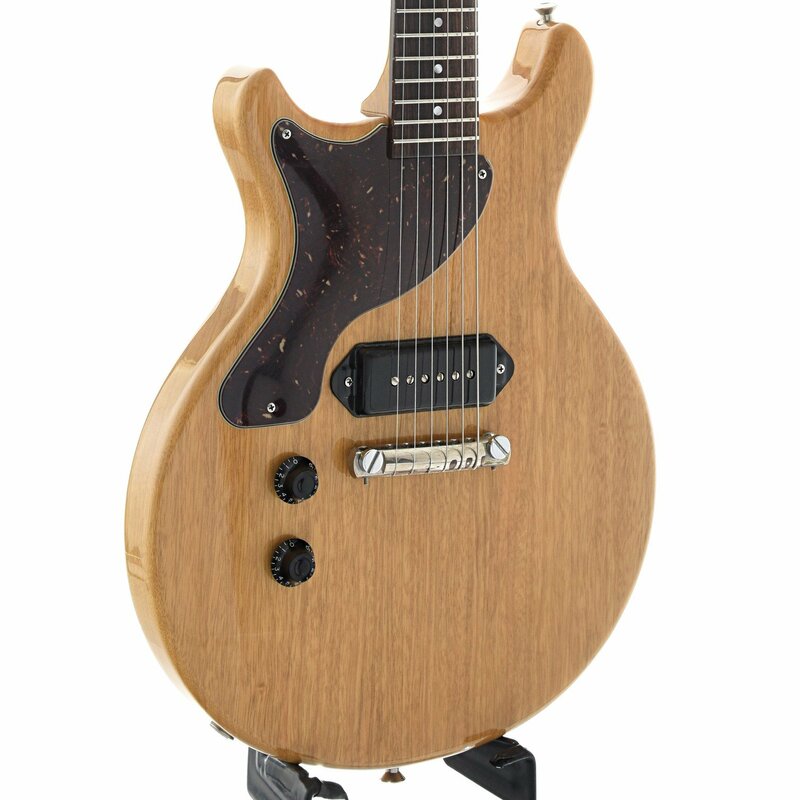 A killer left handed guitar, this Hamer Korina Special Jr LH features a double cutaway Korina body with a korina neck. 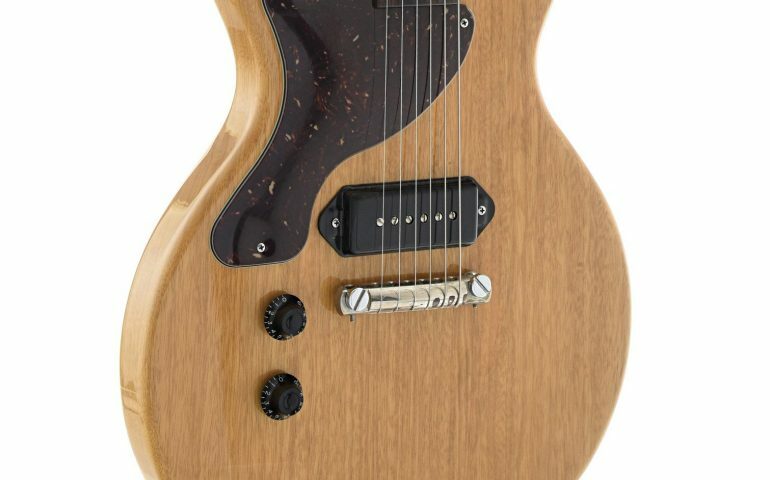 It’s equipped with one hot P90 pickup. 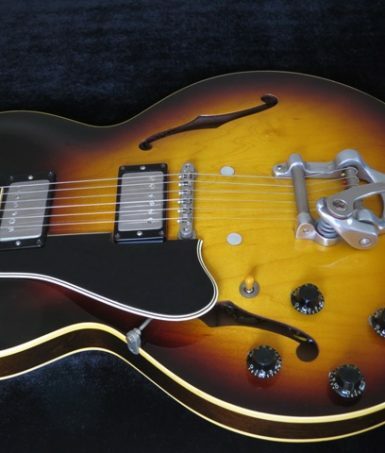 Other details include a tortoise plastic pickguard and Schaller tuners. 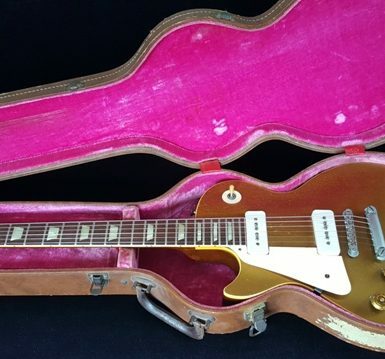 Set up to rock, this guitar is in excellent condition. 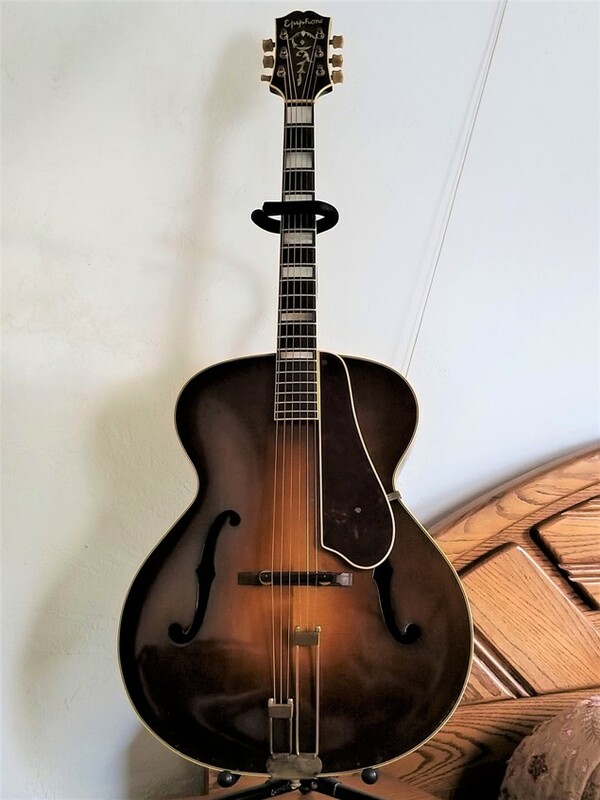 1958 Gretsch Duo-Jet 6128 with OHSC, Refin, Extremely Rare Lefty! 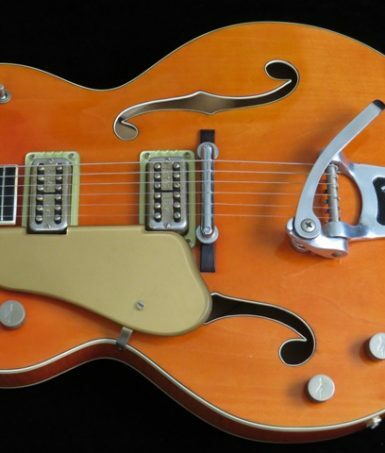 This is a factory Left Handed 1958 Gretsch 6128 Duo-Jet Serial # 35203. 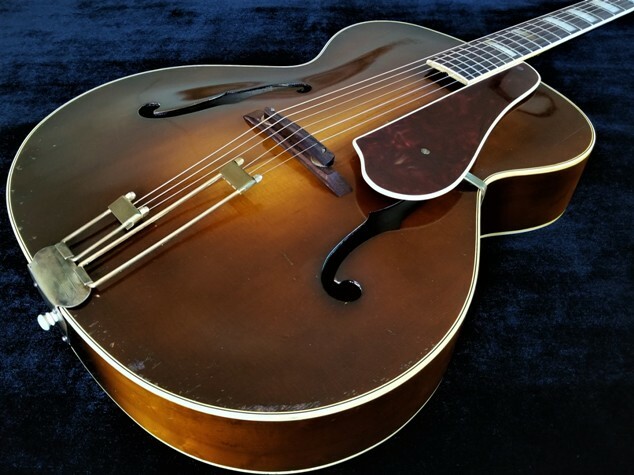 With an estimated 40 to 50 left-handed instruments built up to the late 1970’s, the Duo-Jet 6128 is an extremely rare model in factory left-handed, and even more rare when considering it is a lefty Golden Era 1954-1960 single-cut Duo-Jet! 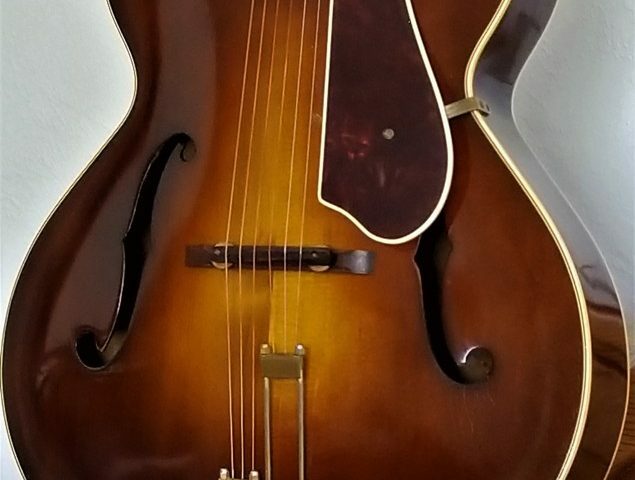 This particular Duo-Jet belonged to a right-handed gentleman who had owned and played it upside down from 1971 to 2008. 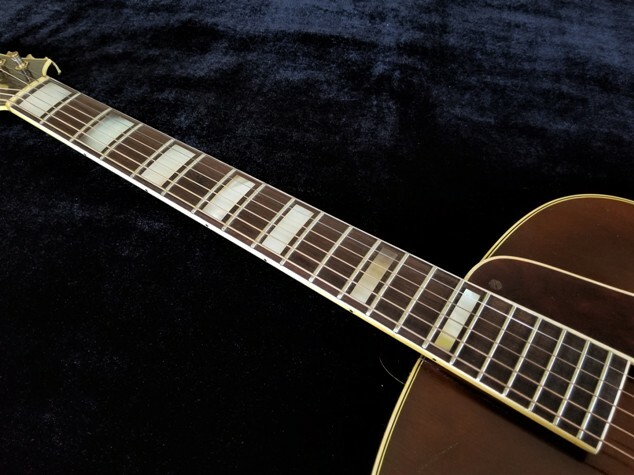 The Duo-Jet was Gretsch’s answer to the Gibson Les Paul Custom, and the overwhelming majority of these were black, with a sprinkling of Cadillac Green from 1956-1958. 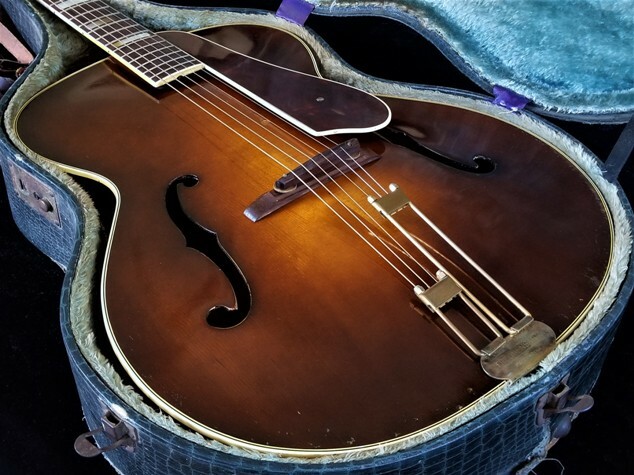 In addition, the single-cut Silver Jet 6129 was offered with some custom sparkle colors from 1954-1960. 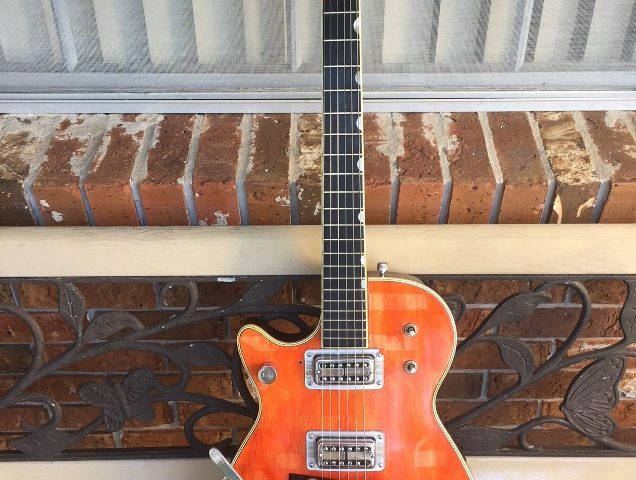 This guitar was refinished in Orange a long time ago, before the second to most previous owner acquired it in 1971. 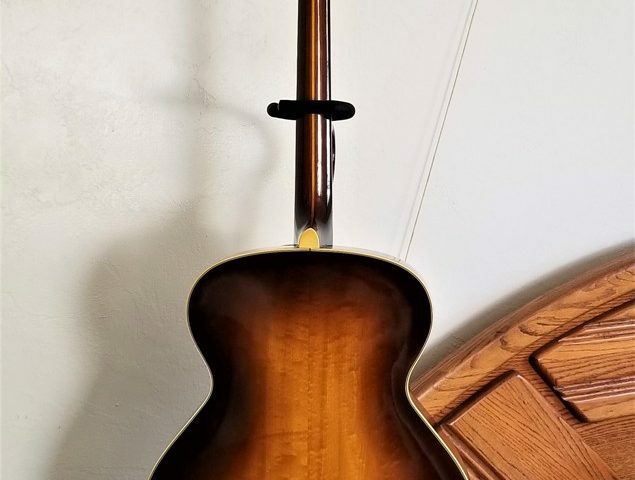 This Duo-Jet has the typical brown back and neck finish, original tuners, bone nut (which has never been off), ebony fingerboard and original frets, lefty thumbprint inlays, original Pat. 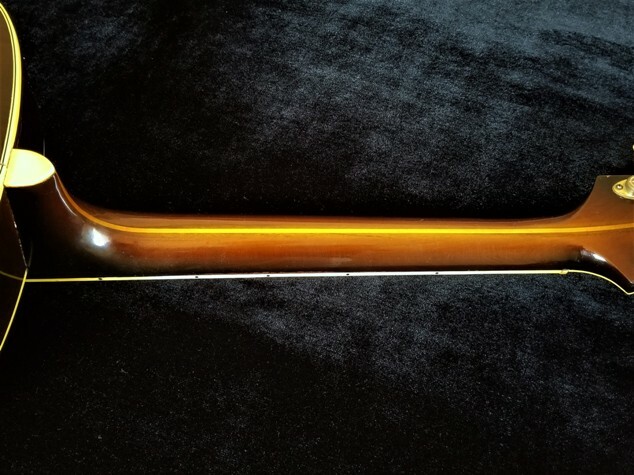 Applied For Filter’Tron pickups with original wire harness including switches and capacitors. All solder joints are original. 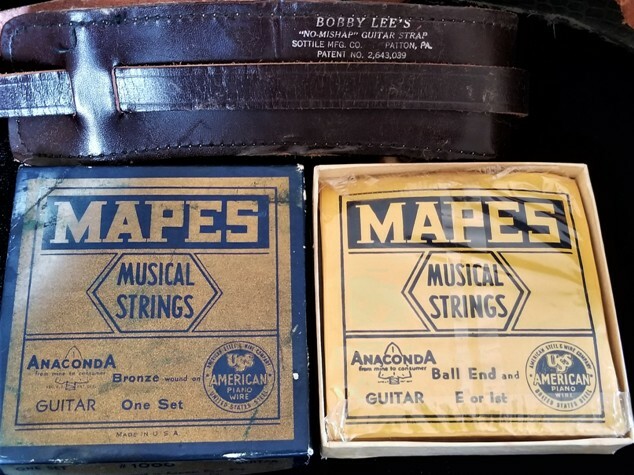 Original bar bridge. 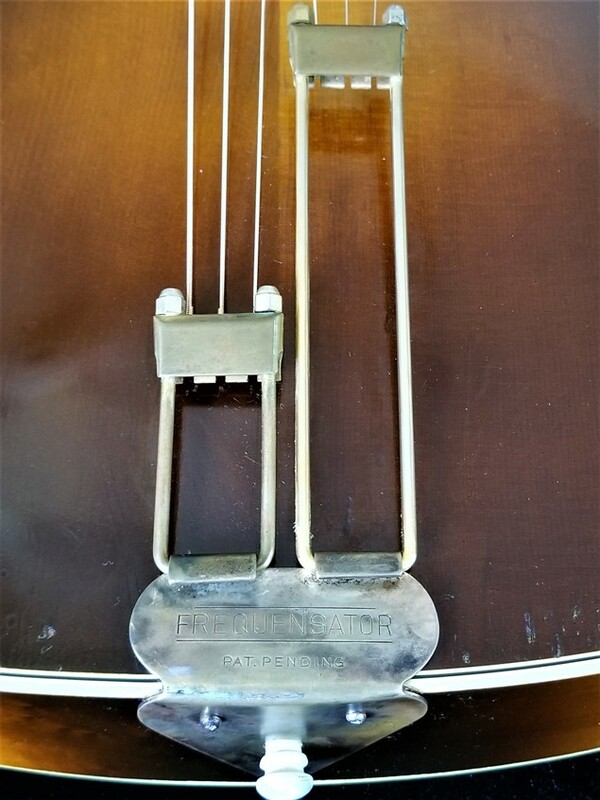 The lefty Bigsby tailpiece does not appear to be original to the instrument, and is probably a late 60s Bigsby, as there are screw-holes from another tail-piece on the bottom. 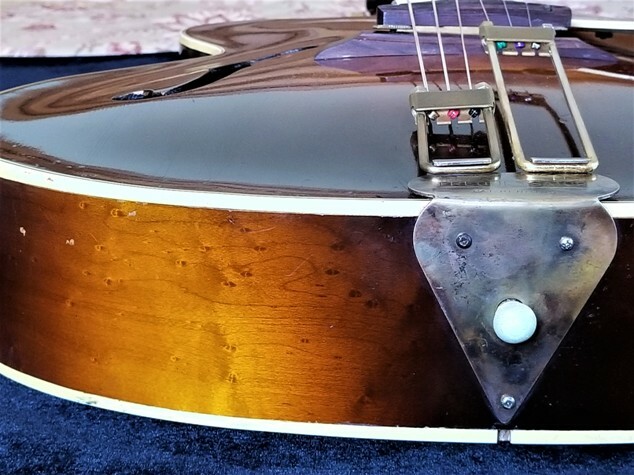 The second to most recent owner acquired the guitar with its current tailpiece in 1971, and the only change he made to the Bigsby was in removing the black paint. 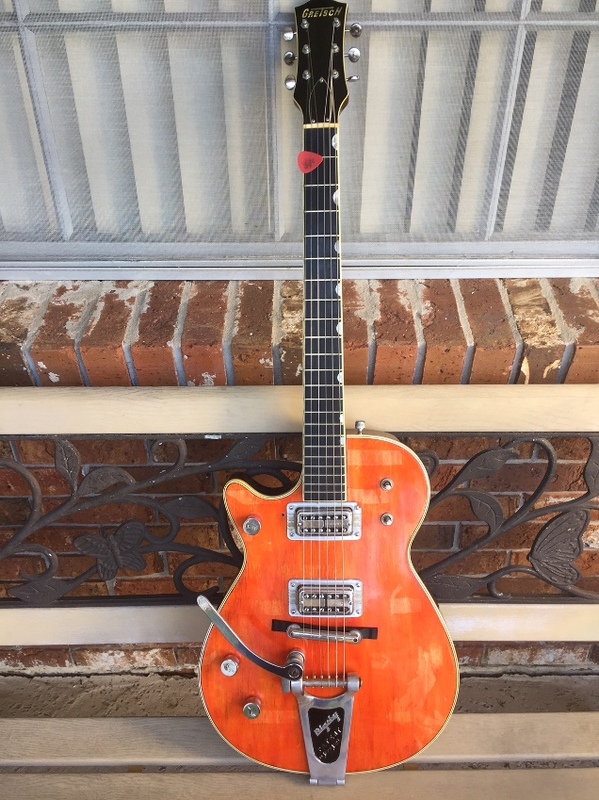 The guitar was recently sent to Curt Wilson at Old School Guitar Repair(www.oldschoolguitar.net) at the recommendation of Gretsch guru, Edward Ball, where the front of the headstock was refinished to the correct black(previously Orange) and the center portion of the Bigsby was repainted black. 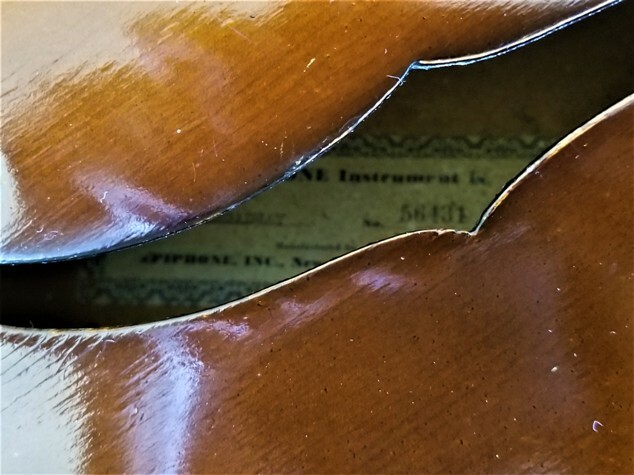 Sadly, the previous owner removed and discarded the original lefty pickguard many years ago. 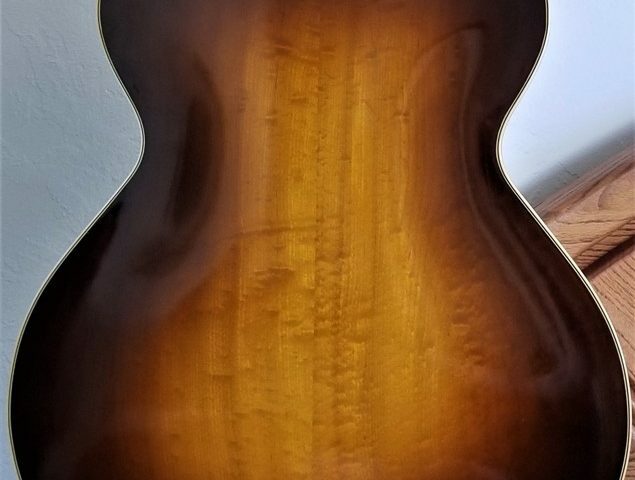 Some areas of the top’s lacquer finish have been peeled away from the long-ago removal of a few stickers and black electrical tape (the previous owner admitted to decorating the guitar with the black stripes in a tiger-theme). 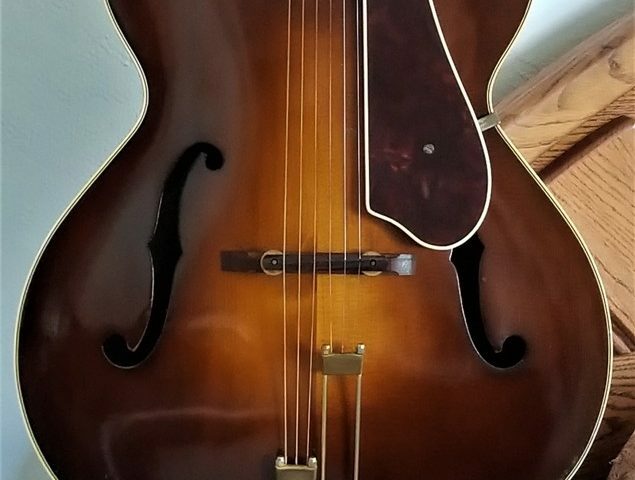 The guitar plays well, with a good neck angle and decent original frets. 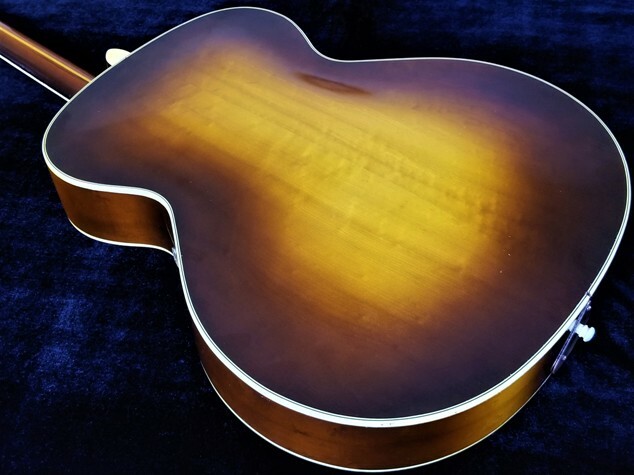 The guitar was just set up this past month by the pros at the renowned Guitar Factory in Orlando(http://www.guitarfactory.us/). 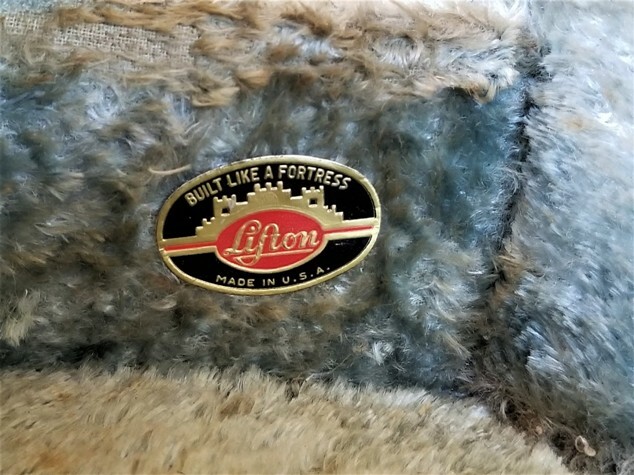 It now plays great and needs nothing – they do great work! 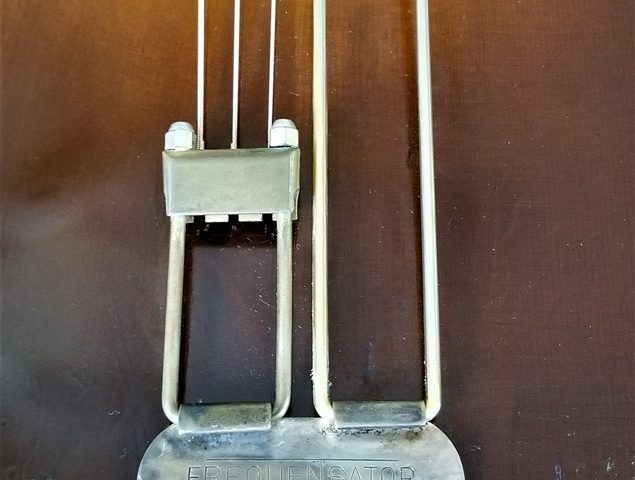 Pickups read 4.12 (neck) and 4.20 (bridge), and pots and switches work well. 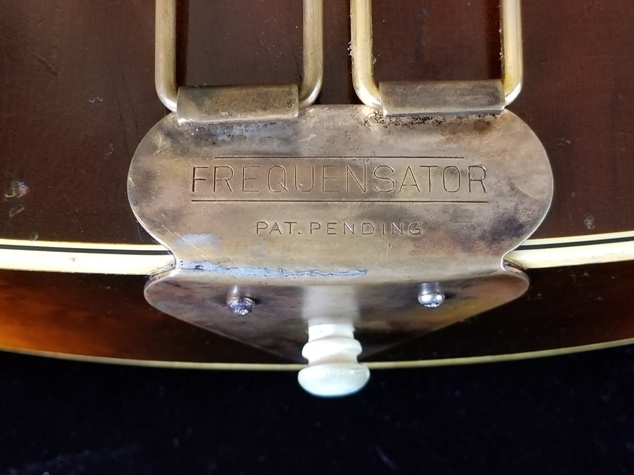 And, very important to note on vintage Gretsch guitars, there is NO binding rot. 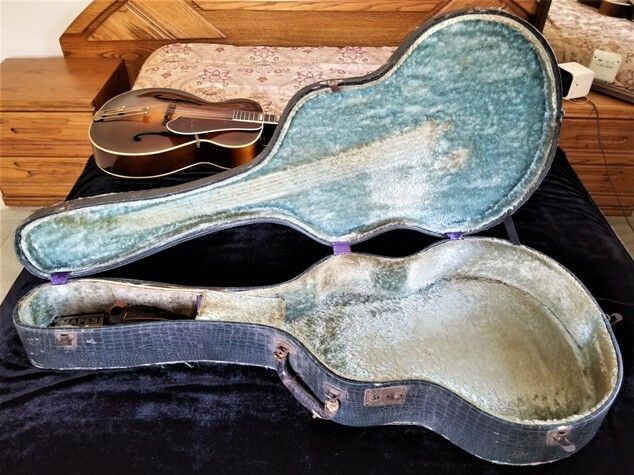 Also includes the Original Hard Shell Case. 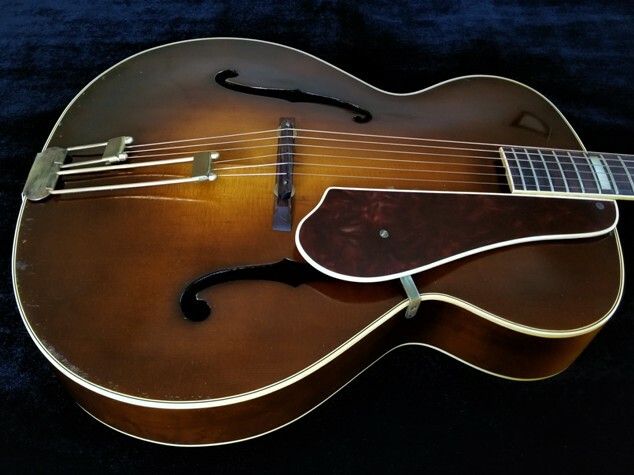 At the end of the day, this is obviously far from a perfect example, but this is an extremely hard-to-find factory left-handed 1958 Gretsch Duo-Jet, and provides a very rare opportunity for the vintage guitar collector, lefty or righty! 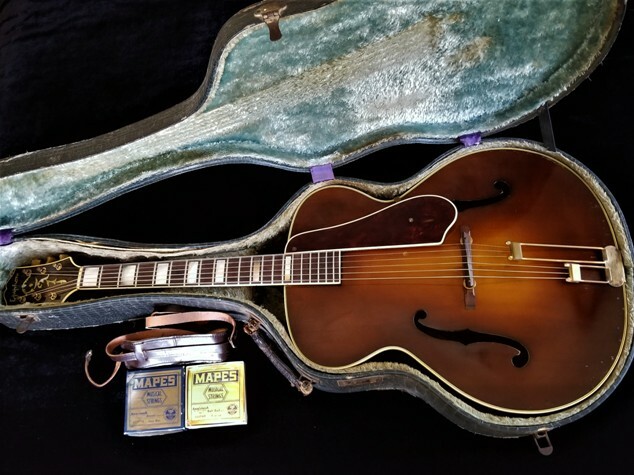 I have seen far fewer left handed 50s Gretsch guitars as compared to Fender, Gibson, and even Martin over the years. 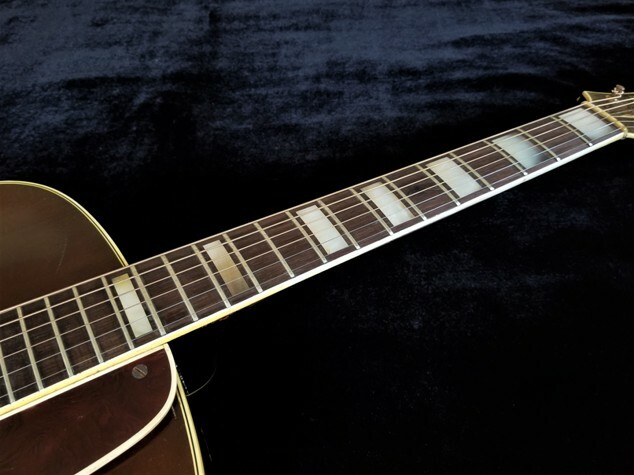 Lefty 50s Gretsch guitars are insanely rare, especially in the Duo Jet model! Lefty 1963 Fender Strat with OHSC, 100% Original, EXC Condition! 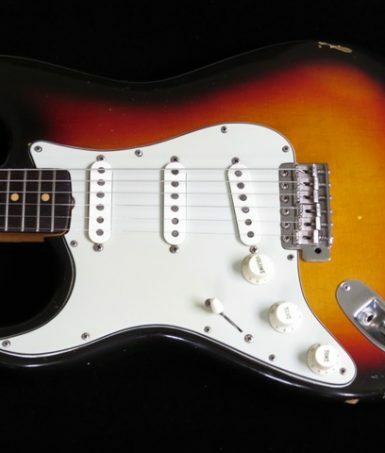 Early 1963 Left Handed Fender Strat, Sunburst finish, 100% original, with OHSC(brown case!). 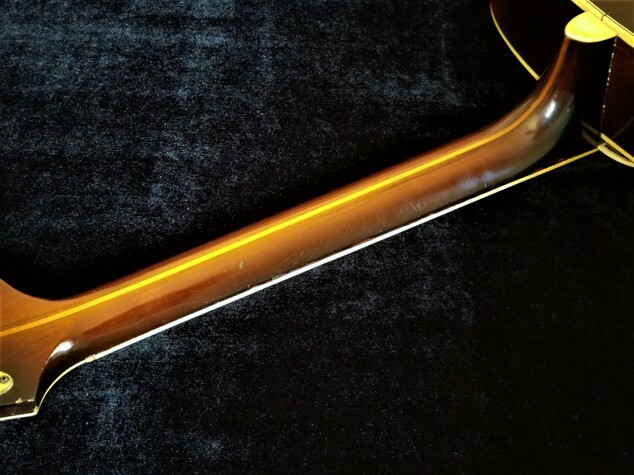 Beautiful blend Sunburst, Dark Brazilian rosewood fingerboard, very nice crack-free Green Guard, perfect headstock spag logo decal. 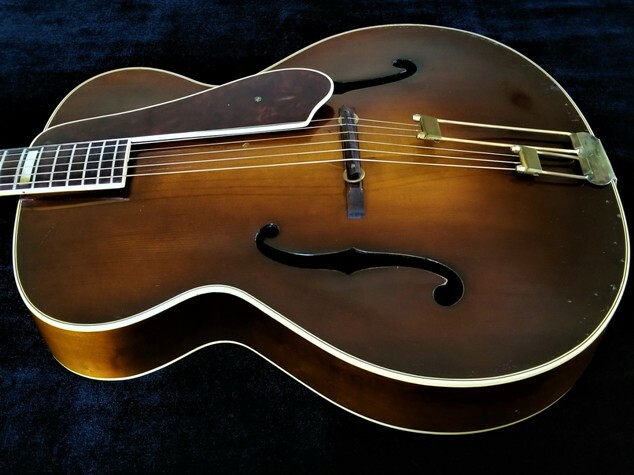 Lefty 1961 Gretsch 6120, 100% Original w/ OHSC, Near Mint Condition! 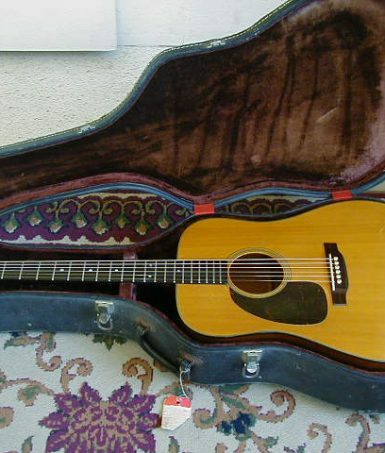 407xx = 3rd batch of 1961, 2nd version cowboy case, original strap. 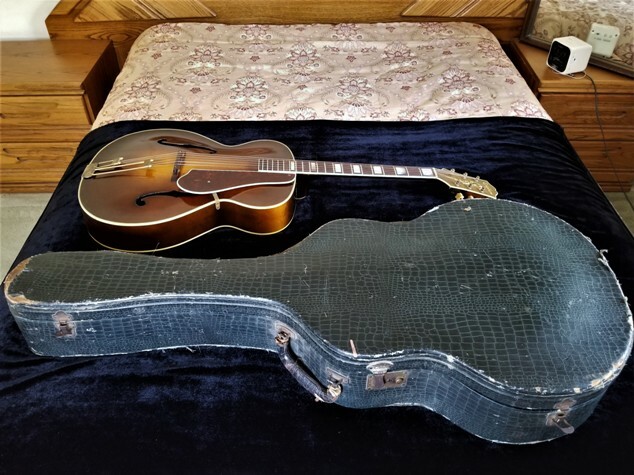 1954 Martin D-18L with OHSC and Original Receipt! Martin center for over 30 years. 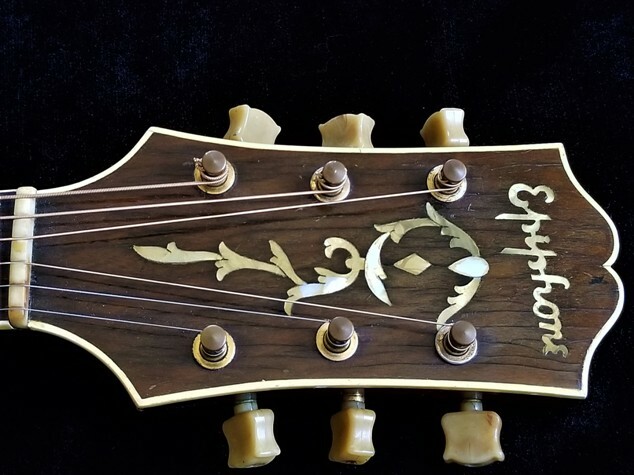 This guitar is in EXC condition with no breaks, cracks, or repairs; how rare is that! 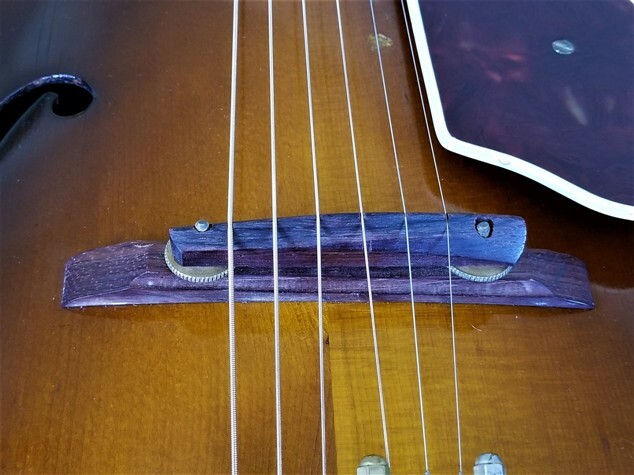 and it’s had a pro refret with slightly larger frets to make it easier to play. 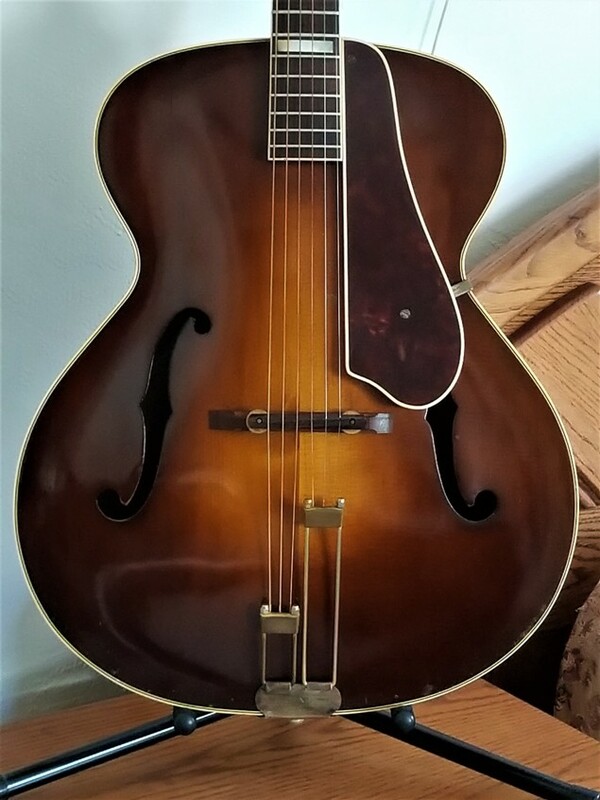 1947 Epiphone Broadway, Acoustic Archtop, 100% Original with OHSC, EXC+ Condition! 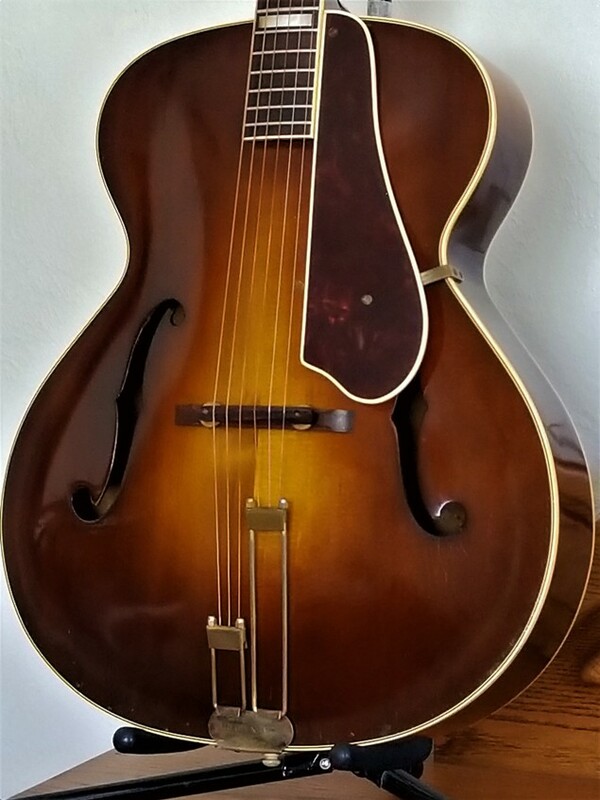 1947 Epiphone Broadway, Acoustic Archtop, all original with Lifton OHSC except for partial refret to 14th fret. 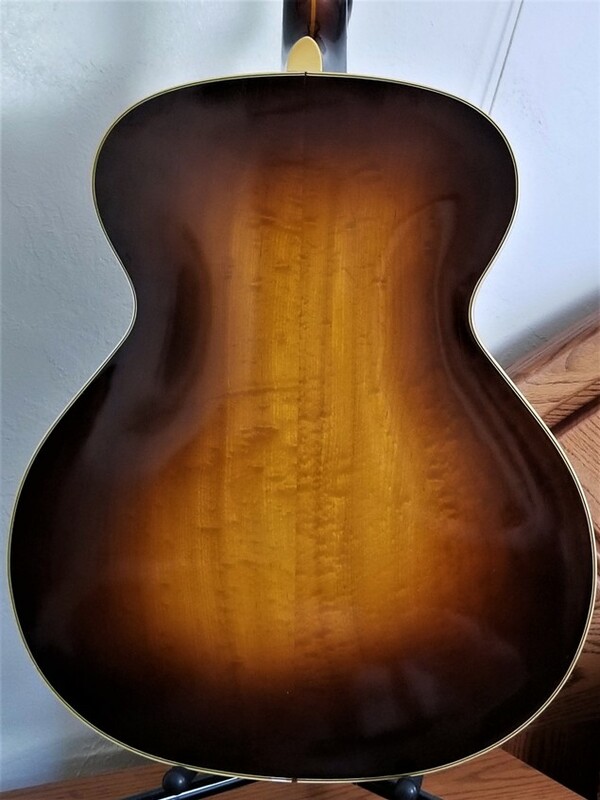 The guitar is in EXC+ Condition with no cracks or repairs. 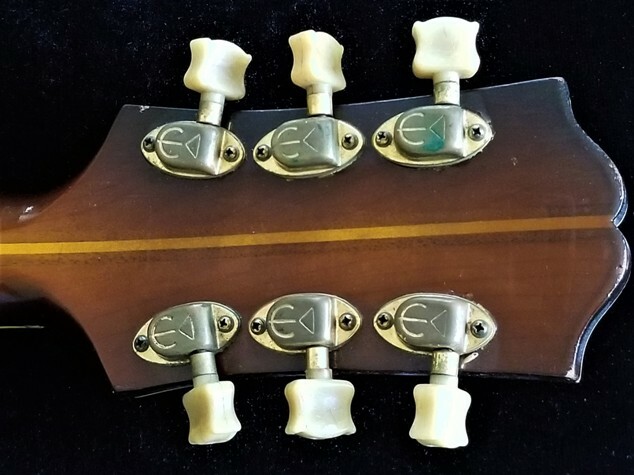 Recently inspected and set-up by Scott Freilich of Top Shelf Music, with action at 5/64 – Hi E and 6/64 – Low E at the 12th fret with plenty of bridge height to spare. 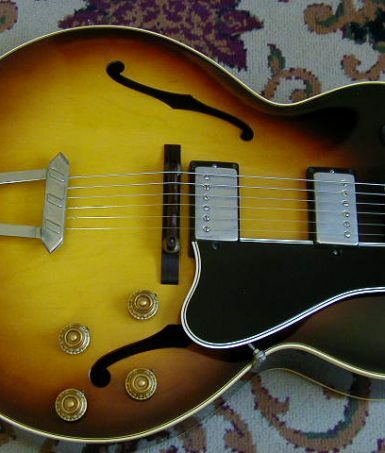 The Broadway was Epiphone’s comparable model to the Gibson L-7, but slightly larger as was the typical Epiphone relative profile: 17 3/8″ Wide and 3 5/16″ Deep. 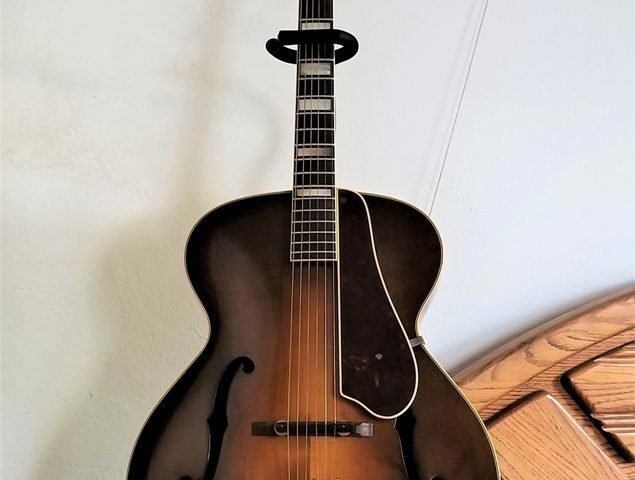 Features include block inlays, Brazilian Rosewood fingerboard, vine headstock inlay, bound tortoiseshell pickguard, carved Spruce top, carved Maple back & sides with nice flame on the back and Birdseye on the sides.